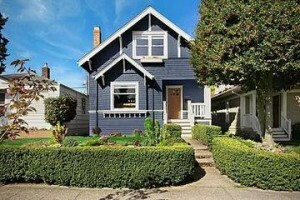 Fabulous restoration and remodel of an 1907 home, just blocks to QA Ave shops & restaurants! Kitchen makeover was featured on the 2004 Remodeled Kitchen & Bath Tour. No Worries with a NEW: Roof, Siding (2/3 replaced w/cedar shingles), Exterior paint, Front Porch, Water Heater, Electronic Air Cleaner, Bathrooms, and so much more! Enjoy luxury features usually found in new homes – slab granite counters, stainless appliances, luxury fixtures, custom cabinets,etc. This has the best of both worlds.